The Justice & Peace Committee will sponsor a series of films in June, “Thursdays at Three.” with the theme: AND JUSTICE FOR ALL. Please help us decide which four to show out of the following eight films. “Inequality for All, “(90 minutes) by Professor Robert Reich, addressing the issue of wealth and poverty in America today and how this negatively effects us all. “Not my Life,” ( 83 minutes) narrated by Glenn Close. This is a documentary film about human trafficking and slavery today in 13 countries including the USA. F. “Legalize Democracy,” Moveon.org (30 minutes) This explains Supreme Court cases that shaped the idea of ‘corporate personhood’ that has greatly increased the power of money to influence government. G. “The Stones Cry Out,” by Yasmin Perni. (56 minutes) Palestinian Christians tell their story from 1948 when hundreds of thousands were forced to leave their homes and villages to the present day occupation of Palestine. Narrated by Anglican Hanan Ashrawi, and Patriarch Michel Sabbah. H. “A Place At The Table,” (84 minutes) A documentary following three families on the social, economic and cultural consequences of 50 million Americans suffering food insecurity. ** This film is supposed to be available by June but is not yet out. Please email, telephone or write to Fr. Ken (ksbcampbell@verizon.net or Box 306, S. Orleans, 02662 ) the four films you think we should show. You can use the capital letters to identify your first, second, etc. choices. For example you might say: I chose: A., H. C. G. You can also leave a note in the Justice & Peace mailbox in Debbi’s office. Thanks for your help! This entry was posted in Peace and Justice on April 10, 2014 by Beth Dunn. The diocesan-wide book study on understanding poverty in our country (which now encompasses 50 million Americans) will include a study guide based on Biblical readings and questions. The study will take place on the Fridays of May beginning on May 5 from 10:00 am to 11:15 am in the Fireplace Room. Please register with Father Ken at ksbcampbell@verizon.net or 508-240-5169. You can order the book on amazon.com for less than $10.00 or order through local bookstores. The course is not limited to church members. All are welcome, or invite a friend! This entry was posted in Peace and Justice and tagged Book group, The Rich and The Rest of Us on April 19, 2013 by Beth Dunn. If you would like to be on our email mailing list (4 to 6 mailings a year), please notify Father Ken. This entry was posted in Peace and Justice on April 15, 2013 by Beth Dunn. 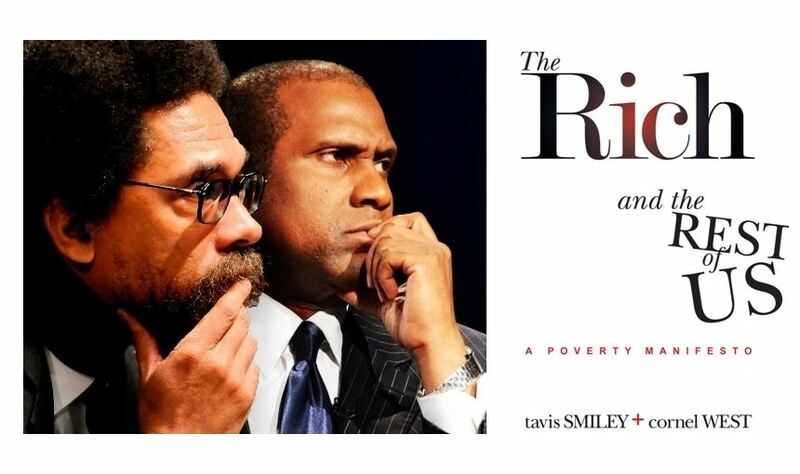 The Rich and the Rest of Us is a new book by Tavis Smiley and Cornel West that Bishop Tom Shaw has asked us to read and discuss during 2013. The book contends that the ending of poverty in the United States of America is THE 21st century human rights challenge. Unless we have lived in poverty for an extended period and/or have experienced life as a minority we undoubtedly have wrong ideas about poverty. Charity is good, but justice is better. A five-session study and discussion of the book will take place on the Fridays of May from 10:00 am to 11:15 am beginning on May 3 in the Fireplace Room or Parish Hall, depending on the number of participants. This study is open to the public and already a few folks from other congregations have registered. You can order a copy of this 200-page book from amazon.com for less than $10.00. Do it early as there will be a run on them with many parishes holding similar study groups! Please register by emailing Fr. Ken Campbell at ksbcampbell@verizon.net or by calling him at 508-240-5169. And please don’t forget — to be a patron of our Fair Trade products in the Parish Hall main entrance lobby. Consider subscribing to the Justice & Peace “Advocacy Alert” email network, which sends out (4 to 6 times a year) information alerts on important ethical issues that our bishops, General Convention, and Executive Committee have asked us to address. Our first mailing this year was on gun safety. Be sure to see the award-winning film “Traces of the Trade: A Story of the Deep North” (authored by an Episcopalian) on Friday, March 15 at 6:30 pm in the Parish Hall. Wanted badly: Two men to volunteer as overnight hosts for “Overnights of Hospitality” at Church of the Holy Spirit three times a year. Please contact Fr. Ken if interested or if you just want to learn more. This entry was posted in Peace and Justice on March 4, 2013 by Beth Dunn. 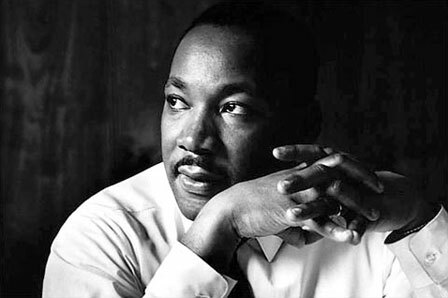 Join the Church of the Holy Spirit at noon on Monday, January 21 for an observance of Martin Luther King Day, sponsored by the Nauset Interfaith Association. The Reverend Wesley Williams will be the guest speaker and there will be special music, as well as a simple lunch following the service. This entry was posted in Community Events, Interfaith, Peace and Justice on January 20, 2013 by Beth Dunn. Thanks to the dedicated volunteers from the Church of the Holy Spirit Overnights for Hospitality team, we be having 4 to 7 men over for dinner on Christmas Day and then to stay with us overnight. We plan on giving each man a gift card for use at any stores in the Cape Cod Mall. If you would like to contribute toward the gift please give a check or cash to Fr. Ken earmarked “Christmas Gift.” Checks should be made out to NIA. Learn more about the Church of the Holy Spirit and the Overnights for Hospitality program. This entry was posted in Outreach, Peace and Justice on December 14, 2012 by Beth Dunn. The Justice and Peace Committee of the Church of the Holy Spirit in Orleans will begin selling fair trade coffee, tea, and chocolate on the third Sunday of Advent, December 16. You’ll be able to find the goods for sale in the entry room inside the main entrance to the Parish Hall. Fair trade practices encourage sustainability in agriculture and support small farmers and businesses in the community of origin. Please show your support by stopping by the table and purchasing something for yourself and your family. This entry was posted in Peace and Justice on December 12, 2012 by Beth Dunn.